These days, we find many people claiming that it is the spirit of the Shari’ah that needs to be considered and the focus should not be too much on the words and the apparent meanings. It is, however, a mystery as to how they can see the spirit [to the oblivion of the words and their apparent meanings]? In Shari’ah, besides the spirit, the words and the apparent meanings are also important. Take, for example, the Islamic salutations. When we meet someone we say assalamu ‘alaikum instead of its translation ‘peace be unto you’. The meaning and the message is the same but it does not convey the same blessing, the reward, the feeling and the fact of being on the Sunnah and getting reward for it. From this, a fundamental principle to which many people are heedless is established, that [indeed] the meanings and the spirit of the hadiths are intended, but in Shariah, the words used by Allah and His Messenger do also matter. The meaning of ‘alaikum assalam and assalamu ‘alaikum are the same but the Messenger of Allah instructed Jabir bin Sulaym about the right way to do so. Through this, the Prophet (may the peace and blessings of Allah be upon him) gave this important message to the Ummah that the Shari’ah is not making and following one’s own ways, but the Shari’ah is to follow and obey Allah and His Messenger. 3. When is ijtihad permissible? Now after this order, there is no room for any argument and to try justifying the opposing view through ‘reasoning’ is not right. There was a singer from India who went for Hajj [pilgrimage to Makkah]. There, afterwards while going to Madina, as he had to stop at a place overnight, he came across an Arab Bedouin singer whom he found to be unmelodious, having a coarse voice, and poor with his instruments. When the Indian singer listened to him, he thought that he understood why Prophet Muhammad had prohibited music. He thought it was because the Prophet had heard only the songs of these Bedouins and thought that if the Prophet had heard his songs, he would have not prohibited music. Such kind of logic and mindset is developing and people call it ijtihad when the definite texts are being ignored for one’s whims and wishes. From this Hadith we learn that when a ruling is not found in the Book of Allah or the Sunnah of the Messenger, ijtihad is done and that too in the light of the Qur’an and hadith by those having the knowledge of the Book of Allah and of the sayings of His Messenger. Nowhere did he claim to look for relaxations in the wording of the Qur’an and hadith, but Mu’adh ibn Jabal showed us the correct way which earned the approval of the Prophet that when there is no direct ruling on an issue in the Qur’an and Sunnah he would apply his mind to reach the ruling through analogy or by deducing it from general guidelines on the issue. 6. Was the gate of ijtihad closed after the fourth Islamic century? Prophet Muhammad has informed us that in the last part of this Ummah, the Mahdi would emerge and Prophet ‘Isa would descend. Therefore, it cannot be said that the doors of ijtihad has been closed since the fourth century and [that even] these two great men would not have the right to do ijtihad [mutlaq]. If someone comes forth with an opinion on a matter having considered all the evidences, then it shall be considered as ijtihad al-juzai [partial ijtihad]. This and other levels of ijtihad like ijtihad fi al-masail continue to this day. Ijtihad fi al-masail refers to finding answers to newly-arising issues [nawazil], in the light of the principles discussed by scholars of fiqh. Looking for solutions to these new matters which naturally continues to this day is called ijtihad fi al-masail. There are some who have said that partial ijtihad cannot take place alone and even in individual issues [masail] only a mujtahid mutlaq’s ijtihad shall be considered. However, the scholars of juristic theory [‘usul] have not accepted this opinion. Therefore, to say that the scholars today have closed the doors of ijtihad is actually based on a misunderstanding of the issue of ijtihad. 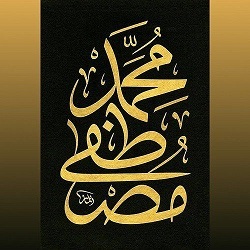 How can anyone close the doors that have been opened by the blessed Prophet? Doors have not been closed but those able to pass through this door have become extinct. Furthermore, this is true only for ijtihad mutlaq and not for other levels of ijtihad. 7. Should the rulings change with the change of time? The wisdom behind the prohibition of riba is to avoid injustice; that you do not cause someone harm and others do not cause you harm. Some people confused this wisdom with the underlying cause and argued that in the modern banking system, there is no injustice (as things are mutually agreed upon), therefore it is permissible. If reason alone was the source of law what then was the need for revelation? Every person can and will argue differently whether the particular transaction was unjust or not. Remember, the underlying cause is always definite and unambiguous. Here the underlying cause of prohibition is being riba. If the difference between the underlying cause and wisdom is understood, several misconceptions will be addressed. i) People think that the purpose of ijtihad is to seek relaxation in rules derived from the categorical texts. Where there is no seeking of relaxation, they do not consider it ijtihad. ii) The proper meaning of ‘the doors of ijtihad have been closed’ is not understood and it gives rise to misgivings.